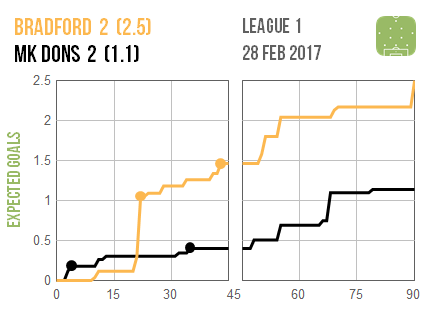 MK Dons twice took the lead at Bradford but overall look to have been fortunate to leave with a point given how much more their hosts created. 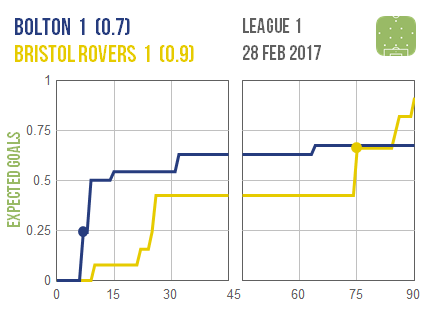 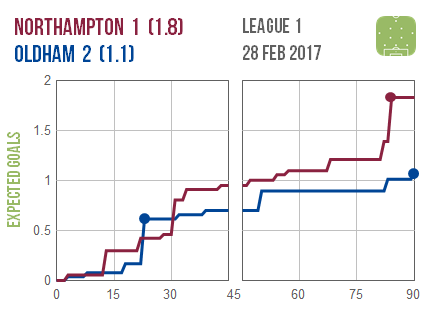 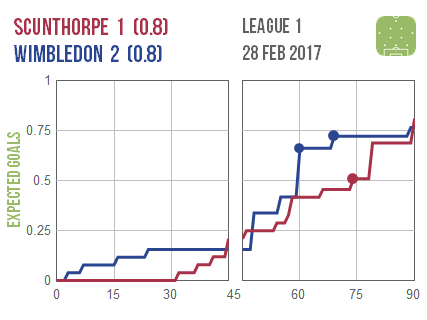 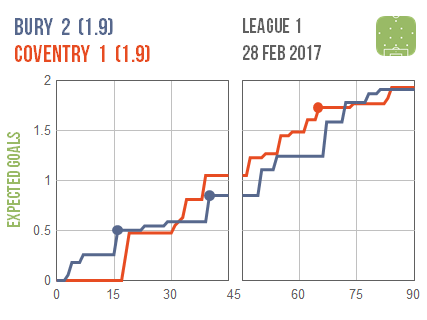 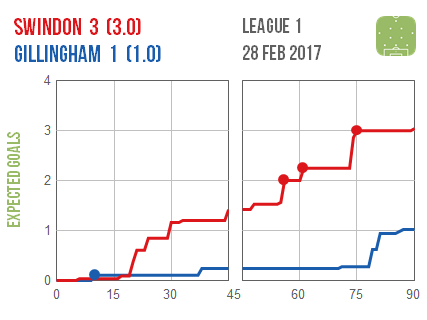 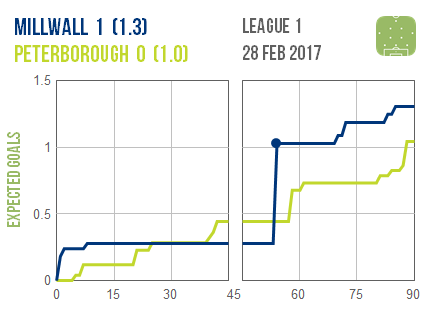 Meanwhile Swindon coasted past Gillingham in a result where expected and actual goals totals were eerily similar. 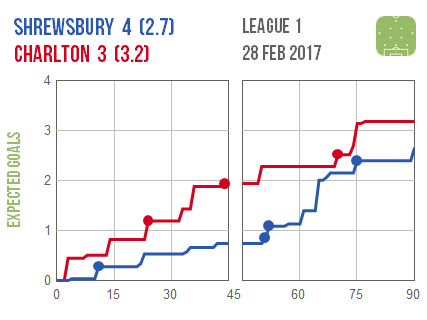 A seven-goal thriller at Shrewsbury saw the hosts prevail, but they were perhaps fortunate to do so.